When it comes to packing and loading those special items in your home or office, there is no need to worry about those heavy, unique or irreplaceable items. Whether it’s your prized piece of art, a safe, a piano, fragile antiques or a prized wine collection, we can handle it all efficiently and cost effectively. 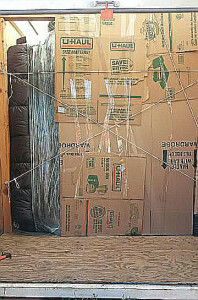 By using state-of-the-art packing materials and techniques, you can be assured that your special items will be safely packed and loaded in your storage container. For those treasured oversized items or high-valued articles that may require extra protection, our crating service offers wooden crates that are custom tailored to the size of you item, thus offering the maximum protection of your cherished belongings.